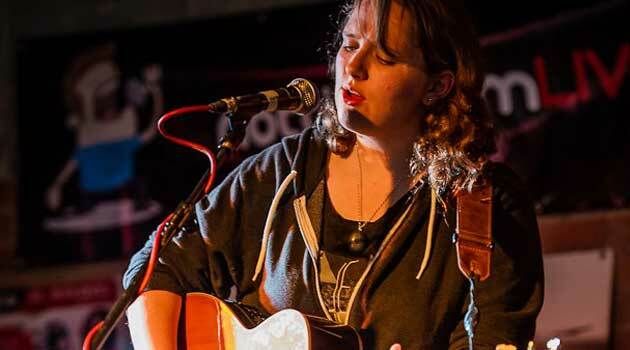 NottinghamLIVE speak to singer-songwriter Rosie Abbott. Hi Rosie, how are things? Fine ‘n’ dandy, thanks. Thanks for interviewing me and featuring me on your site! First off, can you introduce yourself to our readers? Hello, readers! 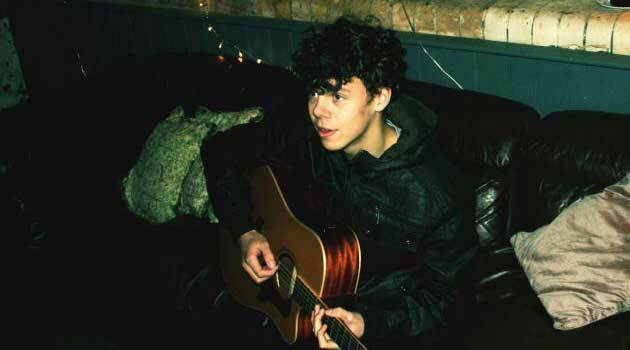 I’m Rosie Abbott, a singer-songwriter from Nottingham. How about a bit of background, how did you get started in performing music? It all started many moons ago when I was a child, playing tunes on my grandparent’s piano. I progressed to the guitar in my early teens and just kept writing and writing. I started recording stuff when I was about 18 and then in my early 20s I formed a band called Acosta. It was with them that I did my first live performance. 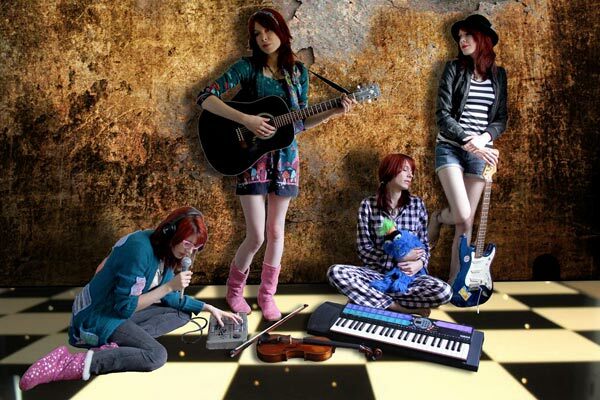 The band split a few years ago, and I am now working as a solo performer. Who are your biggest inspirations both musically and personally? Musically it’s a bit of a cliché, but The Beatles have always been my biggest inspiration because they have songs that fit my every mood. I especially like The White Album. Personally, my biggest inspiration is my sister, Caroline. Whenever I’m feeling discouraged or unmotivated, she always has a way of jolting me back to my senses so I can move forward and feel more positive about things again. Do you still remember your first gig and what it felt like the first time you played in front of others? Yes! My first gig was at Junktion 7, back in 2003. I was absolutely petrified! At least I was performing as part of a group though, so there was less pressure as there would have been if it’d just been me on stage on my own. As first gigs go, I think it went quite well – obviously well enough that it didn’t put me off gigging for life! What have been your most memorable shows so far? As a solo artist, my most memorable shows included supporting San Francisco band The Corner Laughers on some of their UK tour, opening for Daniel Hobbs at Lee Rosys, Jim Boggia at The Guitar Bar and Jonathan Beckett at The Chameleon. My most rewarding gigs have been at The Priory in Loughborough as part of Howard Coleman’s Live Acoustic night because there’s always a great crowd, great sound and great respect for the performers. Too many! I’ve had gigs where I’ve turned up and then the promoter has forgotten to bring a microphone, or they’ve not known how to use the PA properly and have left me sat with screaming feedback while they slip outside for a cigarette. Stuff like that. Very frustrating for me, and very unprofessional for them. How do you go about your writing process and what kind of things inspire your music? My writing process varies depending on my mood. Sometimes I record myself jamming and then listen back and if I hear something I like, then I develop it. Sometimes I painstakingly construct a chord sequence over the course of several years. Generally I save the lyrics until last. The things that inspire my music are usually quite dark. They’re often about things I want to say to people but can’t, frustrations with reality, regrets, insecurities, fear, social anxiety, feelings that I can’t quite put my finger on. The kind of things that I find much easier to express through music than through words. I should probably go see a psychiatrist. You released your debut album last year, were you pleased by how it was received? Yes. My fans’ support has been amazing and I was genuinely touched by the positive response I got from them. I’ve also received some great reviews from various music blogs and websites, a good write up in LeftLion, some internet radio play, and a glowing endorsement from Ray Davies of the Kinks, so I can’t complain! My main frustration has been trying to get my music heard by more people. Spread the word please, readers! What are you working on at the moment, will be seeing any new releases from you in the near future? I’m currently working on album number two. I’ve been recording it myself in my home studio. I’m hoping to release it early next year and am really excited about it. In the meantime, I’m planning on re-releasing my first EP which I recorded back in 2006. I got great feedback from the few people who heard it when I released it originally, so I’m excited for my new fans to hear it. What are your thoughts on the Nottingham music scene at the moment and who are your favourite local artists? The Nottingham music scene seems to be a lot healthier than it was back when I started a few years ago and I think that is largely due to social media. There are loads of Nottingham artists I’d have never known about had it not been for links on Facebook! My favourite local artists include Thee Eviltones, Lisa de’Ville, Jonathan Beckett, Band of Jackals and of course Natalie Duncan and Jake Bugg. When you’re not performing, writing or recording how do you like to relax? I enjoy watching box sets of TV series. I’ve nearly worked my way through all of Breaking Bad and Californication over the past few weeks. I also enjoy relaxing with friends over a few beers down the pub. What are your favourite Nottingham places to visit? My most frequented place in Nottingham is probably The Pit and Pendulum pub because I like lurking in a dark corner. Other favourite hang outs are the Malt Cross because I love the architecture and Jam Cafe because there’s always a great atmosphere. I also recently discovered The Hopkinson’s Gallery on Station Street – they have some fantastic stuff in there (and they do good cake!) When friends of mine visit Nottingham for the first time, I always take them to Ye Olde Trip to Jerusalem. 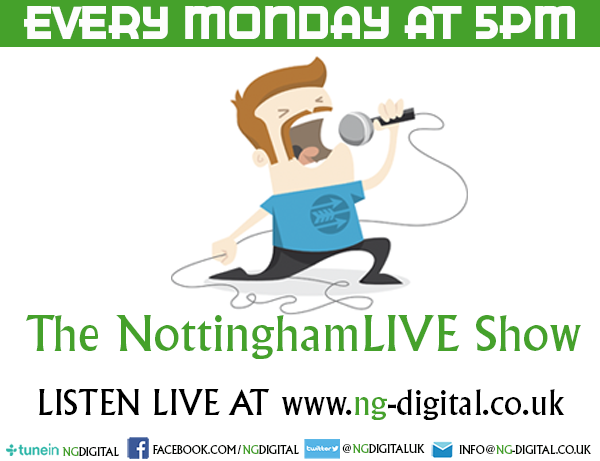 Finally is there anything else you’d like to say to the NottinghamLIVE readers?